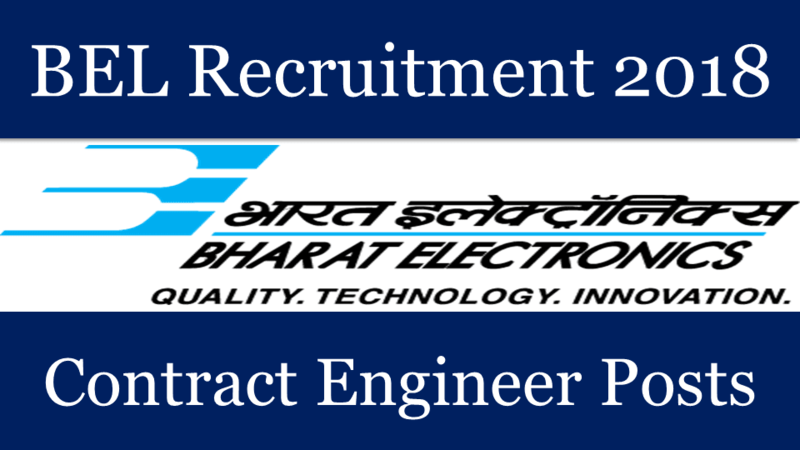 Bharat Electronics, India’s premier Navaratna Defence Electronics Company is inviting 480 Government job vacancies for the post of Engineers across India. This BEL recruitment is on contract basis for one year duration. The participants who are in a need of Government jobs in India can apply online for this BEL recruitment 2018. The participants must have BE/B.Tech degree from a well affiliated institute and minimum one year experience in industrial training. This BEL recruitment will be on the bases of written exam and a walk in interview. The applicants who are interested in this BEL Vacancy can follow the links which are given under the IMPORTANT LINKS section. What are the Eligibility Criteria for applying this BEL Recruitment 2018? The candidates who are seeking to be a part of BEL agency must have BE/ B.Tech degree from a well known institute and an industrial experience of minimum one year. The candidates who have passed this educational qualification must be of 26 years or less as on 01. 06.2018. More detail about these BEL criteria is explained below in the table. Candidates who have a graduation degree in BE / B.Tech in the respective trade can apply for this BEL Vacancy 2018. Age of the candidate must be less than 26 Years for applying these Government jobs in India. Applicants who are interested in this BEL recruitment can apply without paying any application fee. ZERO Application fee for applying. How we can apply for this BEL Recruitment 2018? Applicants who are eligible and interested in these Government job can apply online through the official website. We share the direct link for online application. Just click on the Link for applying online. 23RD June 2018 is the Last Date for applying.